MINDFUL MINUTES BY THE END OF 2020! Thank you for your details, we will be in touch shortly! The Sound Off For Schools programs are driven by a combination of effective and proven practices in Cognitive Neuroscience, Educational Psychology and Pedagogical practice. Each session is designed for the specific context and can include the explicit teaching of a range of social-emotional skills. This aids the development of emotional regulation, cognitive awareness, resilience, compassion and gratitude. Schools have the opportunity to design their own sessions or program to deliver an engaging and relevant experience for students and teachers. Our program content is designed using three main categories; Matters of the Mind, Conscious Curriculum and Mindful Movement. Mindfulness Education sessions focussing on building resilience, emotional regulation, paying attention in the present moment, compassionate gratitude practices and cognitive awareness. Mindfulness Education sessions to explicitly teach skills focused on enhancing learning, priming the brain for optimal focus in the classroom, meta-cognition, responsiveness to learning experiences, attention span, thought clarity and creativity. Conscious physical movement grounded in the ancient and healing teachings of Yoga, synchronization of breath to movement, moving meditations, breath control and awareness of breath quality and function when moving the physical body. Mindfulness Education sessions delivered to teachers to empower them with strategies and tools to be used in their own classroom. Teachers are equipped with a range of practical ‘Brain Bites” to begin carving out four to six mindful moments throughout the school day. Sessions for teachers and staff to experience the benefits of mindfulness education. Participants are guided through each session to cultivate their own sense of peace and calm, and to become more aware of their stress response triggers. With increased awareness of the importance of remaining calm in the classroom, teachers and staff are inspired and motivated to develop their own self-practice. Compassion fatigue is most commonly experienced by vocations in which people are called to constantly hold space for others. Teachers are expected to create and hold compassionate space for their students and colleagues every day. Without the opportunity and time to recharge and take time for ‘self’, many teachers will suffer burnout and compassion fatigue. Our Self-care sessions carve out deliberate time and space for teachers to recharge, recover and rejuvenate. Numerous strategies delivered throughout these sessions are designed to be used by participants whenever they need to find some time out. 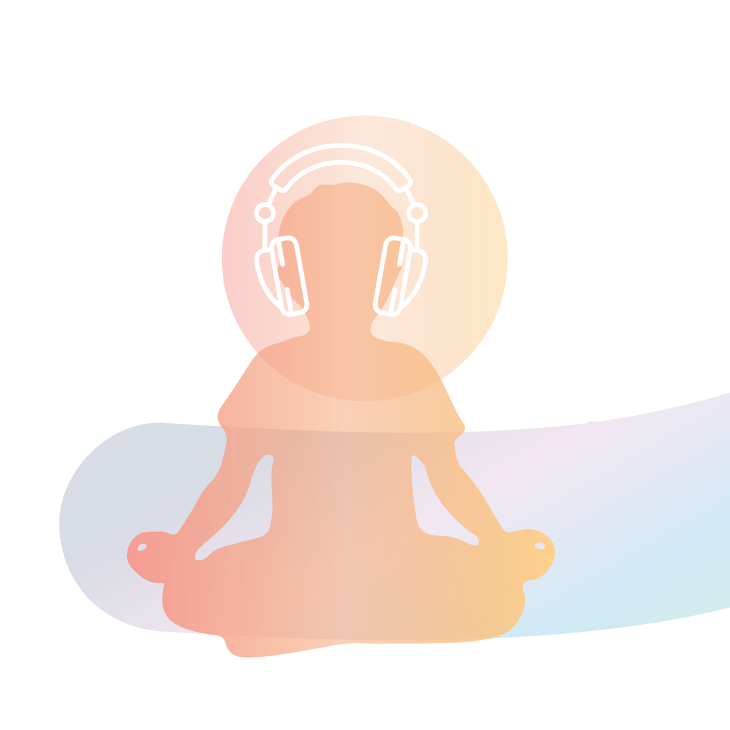 Sound Off for Schools is a Mindfulness Education Program grounded in the emerging research and practices of Mind, Brain and Education Science. We believe the learning landscape for our young people is more complex than ever before and by deliberately carving out time and space for young people to come back to their breath and the present moment is the beginning of a silent revolution. Listen to more about the “Science” behind Mindfulness practices here. Nicola Bone, a Brisbane high school teacher founded Sound Off for Schools in 2016 to bring her passion for well-being, mental health and the practice of mindfulness, meditation and Yoga in to her classroom. In 2006, she ended her career in Public Health to make the move to the education sector. In 12 years of classroom practice, Nicola began to witness an alarming number of students facing the crippling challenges of mental illness; stress, depression, anxiety and many other mood disorders. Some days, she would observe students completely lose control of executive function, as a result of their crippling condition; unable to concentrate, hold attention or take in the learning experiences afforded to them. Watching a young person suffer every day and miss out on the most vital years of learning and formation was heartbreaking to her. In an attempt to understand this horrifying mental illness epidemic in Australia she enrolled in a Master of Public Health (Epidemiology) to research the effects of mindfulness and meditation practices on learning and mental health. From this research, the Sound Off for Schools Program was born - a Silent Revolution sweeping across schools in Queensland. Students wear wireless headphones and have their attention completely captured in the present moment. They hear the low ambient sound and the teacher's instruction to guide them through mindfulness practices and movements. Each session carves out time and space for young people to witness their breathing and thought habits. 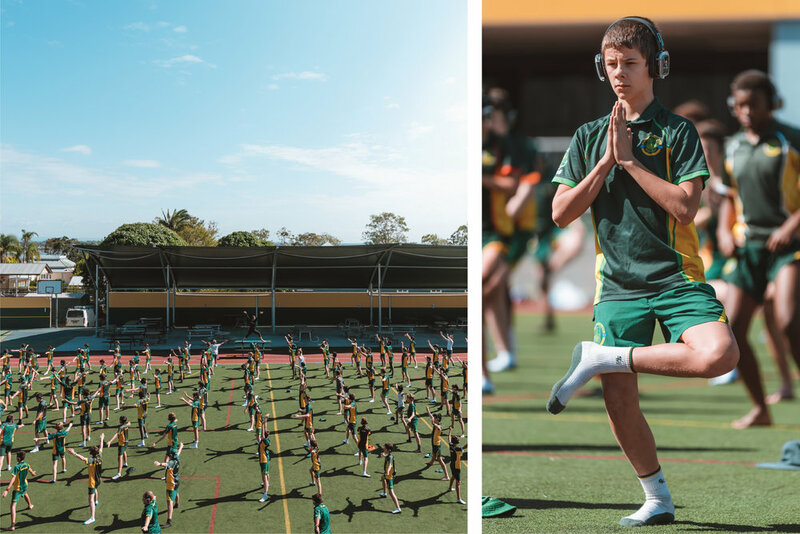 The program has seen incredible success and recognition amongst educators and students, in the past 10 months has reached over 4000 young people and delivered over 240,000 mindful minutes. The tribe behind Sound Off for Schools effectively delivers practical and engaging mindfulness education to students and staff in schools. Young people are empowered with increased cognitive awareness, emotional regulation, resilience, compassion and gratitude practices. Nicola empowers young people to understand their internal world, thought patterns and negative cognitive habits to transform their perspective to enjoy wholehearted living. Join the silent revolution TODAY, become a purveyor of hope for the future! We believe schools offer the perfect platform for early intervention and change. In the next 40 seconds, somone, somewhere in the world will take their own life. Young people in Australia are not immune to this horrifying epidemic. In fact, one in seven young Australians aged 4-17 years suffers from mental illness. Mindfulness education in schools will rewrite our nation’s educational story by explicitly teaching and empowering our young people with the tools and strategies for mental wellness and resilience. How can we possibly expect our literacy and numeracy rates to improve when such an alarming number of young people are are suffering? In fact, research suggests that one in seven young people present in our classrooms in a neurobiological brain state that is incapable of learning, solving problems, making decisions or concentrating. Now is the time for intervention and change. Young people need tools and strategies to navigate their way through the very complex world they live in. Join the silent revolution TODAY, become a purveyor of hope for the future - Book NOW! Please note, this program does not claim to replace expert medical support for mental illness. Age and numbers of students participating. Props / other equipment requirements. Travel from greater Brisbane region. *Booking minimum is 30 people, maximum 180 people. Prices range from $3–$8 per head (depending on number of people, age of students, length of session, staff required, travel outside of Brisbane shire). **Discounts are available for packages and multi-session bookings. I felt a huge weight lifting off my chest and shoulders! Breathing makes me feel so alive. I love being a Warrior. I feel very strong! For the first time in ages I didn’t have to worry what other people were thinking. I never expected this kind of thing to make such a huge difference to my mental health. Website designed by MILLY + CO. | © 2019 MILLY + CO.